Po Lin (Precious Lotus) Monastery and Ten Thousand Buddhas Monastery (Man Fat Sze) will appeal to history buffs. Ruins of St. Paul's and Guia Fortress are good opportunities to explore the local culture. Step out of Hong Kong with an excursion to Coloane in Macau--about 1h 35 min away. There's still lots to do: explore the striking landscape at Tung Ping Chau, step off the mainland to explore Lantau Island, enjoy the sand and surf at South Bay ( Hongkong Island), and explore the activities along Repulse Bay. To find more things to do, where to stay, ratings, and other tourist information, go to the Hong Kong trip itinerary planning app . Reykjavik, Iceland to Hong Kong is an approximately 19-hour flight. You'll lose 8 hours traveling from Reykjavik to Hong Kong due to the time zone difference. Plan for much hotter temperatures traveling from Reykjavik in October, with highs in Hong Kong at 35°C and lows at 28°C. Finish your sightseeing early on the 22nd (Mon) so you can travel to Shanghai. You'll explore the less-touristy side of things at Huangpu River and Suzhou Ancient Grand Canal. The Bund (Wai Tan) and Zhujiajiao Ancient Town will appeal to history buffs. You'll find plenty of places to visit near Shanghai: Suzhou (Humble Administrator's Garden, Tiger Hill, & more). There's lots more to do: identify plant and animal life at Shanghai Wild Animal Park, explore the activities along Dishui Lake, cool off at Changfeng Park, and admire the natural beauty at Yu Garden (Yuyuan). To see photos, more things to do, where to stay, and other tourist information, go to the Shanghai trip itinerary builder website . Traveling by combination of bus and flight from Hong Kong to Shanghai takes 5 hours. Alternatively, you can fly; or drive. Expect a bit cooler temperatures when traveling from Hong Kong in October; daily highs in Shanghai reach 28°C and lows reach 19°C. Finish your sightseeing early on the 30th (Tue) so you can travel to Busan. 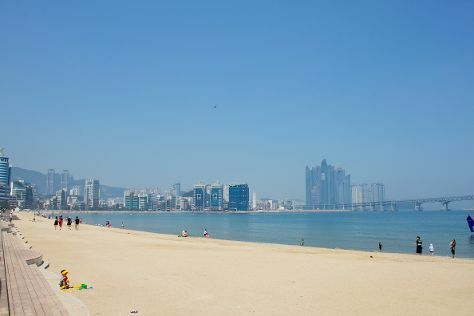 You'll explore the less-touristy side of things at Gwangalli Beach and Songdo Beach. Get outdoors at Haeundae Beach and Songjeong Beach. Venture out of the city with trips to Geoje (Sinseondae & Oedo Botania). There's lots more to do: contemplate in the serene atmosphere at Haedong Yonggung Temple, snap pictures at Gwangandaegyo Bridge, take in the awesome beauty at Jangsan Mountain, and get great views at Taejongdae. To see ratings, other places to visit, photos, and more tourist information, read our Busan road trip planner. Traveling by flight from Shanghai to Busan takes 5 hours. Alternatively, you can do a combination of flight, taxi, and train; or do a combination of flight and bus. You'll lose 1 hour traveling from Shanghai to Busan due to the time zone difference. Traveling from Shanghai in October, you can expect nighttime temperatures to be a bit cooler in Busan, with lows of 15°C. Finish your sightseeing early on the 7th (Wed) so you can travel to Seoul. 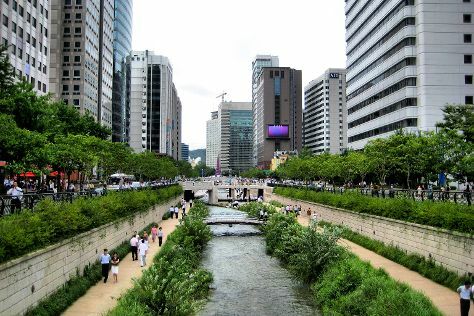 Cheonggyecheon Stream and Gyeongbokgung Palace are good opportunities to explore the local culture. Get some historical perspective at Changdeokgung Palace and Hwaseong Fortress. Change things up with these side-trips from Seoul: Paju (The Third Tunnel & DMZ), Nami Island (in Chuncheon) and Goyang (Ilsan Lake Park & One Mount Water Park). Pack the 17th (Sat) with family-friendly diversions at Lotte World. There's still lots to do: explore the wealth of natural beauty at Bukhansan National Park, make a trip to Bongeunsa Temple, take in nature's colorful creations at Namsan Park, and take a stroll through Insadong. For photos, ratings, traveler tips, and tourist information, go to the Seoul trip itinerary maker website . You can take a train from Busan to Seoul in 3 hours. Alternatively, you can fly; or drive. Prepare for little chillier weather when traveling from Busan in November: high temperatures in Seoul hover around 13°C and lows are around 3°C. Wrap up your sightseeing on the 17th (Sat) to allow time to travel to Tokyo. Explore hidden gems such as Mt. Takao and Ueno Zoo. 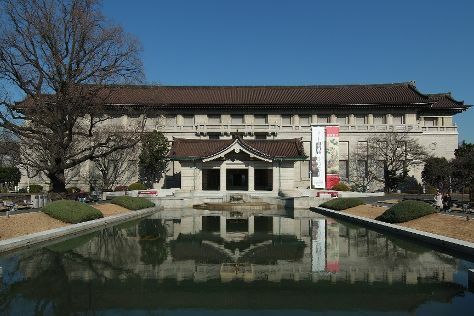 Visit Tokyo National Museum and Imperial Palace for their historical value. Explore the numerous day-trip ideas around Tokyo: Naritasan Shinsho-ji Temple (in Narita), Showa Kinen Park (in Tachikawa) and Kamakura (Tsurugaoka Hachimangu Shrine, Kotoku-in (Great Buddha of Kamakura), & more). There's lots more to do: enjoy the sand and surf at Odaiba Kaihin Koen (Odaiba Seaside Park), get your game on at Owl cafe Akiba Fukurou, wander the streets of Minato Mirai 21, and admire the natural beauty at Shinjuku Gyoen National Garden. For traveler tips, reviews, photos, and tourist information, use the Tokyo road trip planning website . Fly from Seoul to Tokyo in 5.5 hours. Alternatively, you can do a combination of car and ferry. In November, Tokyo is a bit warmer than Seoul - with highs of 19°C and lows of 11°C. Cap off your sightseeing on the 26th (Mon) early enough to travel to Kyoto. Visiting Amanohashidate and Nara Park will get you outdoors. You'll discover tucked-away gems like Tanoura Beach and Monkey Park Iwatayama. When in Kyoto, make a side trip to see Nigatsu-do Temple in Nara, approximately 1h 10 min away. There's still lots to do: contemplate in the serene atmosphere at Fushimi Inari-taisha Shrine, take a stroll through Gion, step into the grandiose world of Osaka Castle, and steep yourself in history at Kiyomizu-dera Temple. For maps, more things to do, reviews, and other tourist information, read Kyoto trip itinerary tool . Getting from Tokyo to Kyoto by train takes about 3 hours. Other options: do a combination of flight and bus; or drive. In November, plan for daily highs up to 19°C, and evening lows to 10°C. Wrap up your sightseeing by early afternoon on the 4th (Tue) to allow enough time to travel back home.